Our bushes are loaded and ready to pick. You can fill a gallon in about a half hour. Come between 8 - 10am & 4 - 8pm to beat the heat. Prime picking is the third and fourth week of June and all of July. Pick your own, Call Ahead for picked and packaged orders, or we can deliver (delivery fee). Frozen blueberries are available year round. 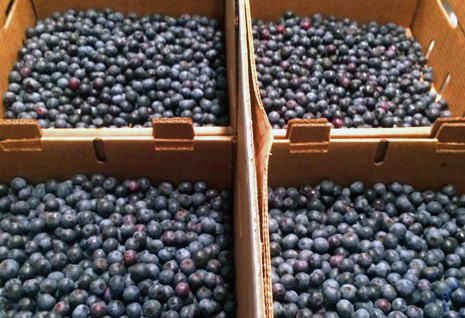 Blueberry Bushes are available for sale. Make it a Fun Family Day, Drinks, Snacks, Restrooms, and Picnic Tables are available at the "Blueberry Cafe"